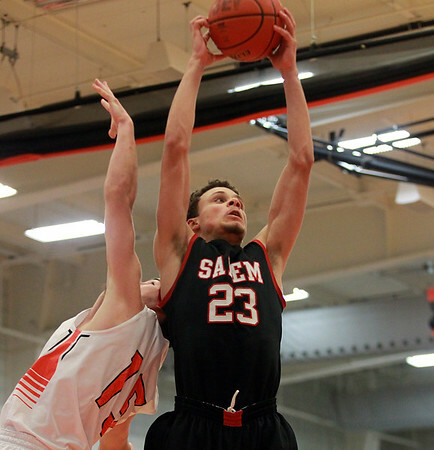 Salem senior forward Bryan Martinez (23) soars high in the air to grab a rebound over Beverly junior forward John Loreti (15) during the second half of play. DAVID LE/Staff photo. 12/16/14.